Microsoft hardware honcho Panos Panay is one of the most effective onstage salespeople in tech. And at the company’s education-themed event today in New York, he got to unveil the morning’s “one more thing”—the Surface laptop, a machine he pitched as the ideal notebook for students. 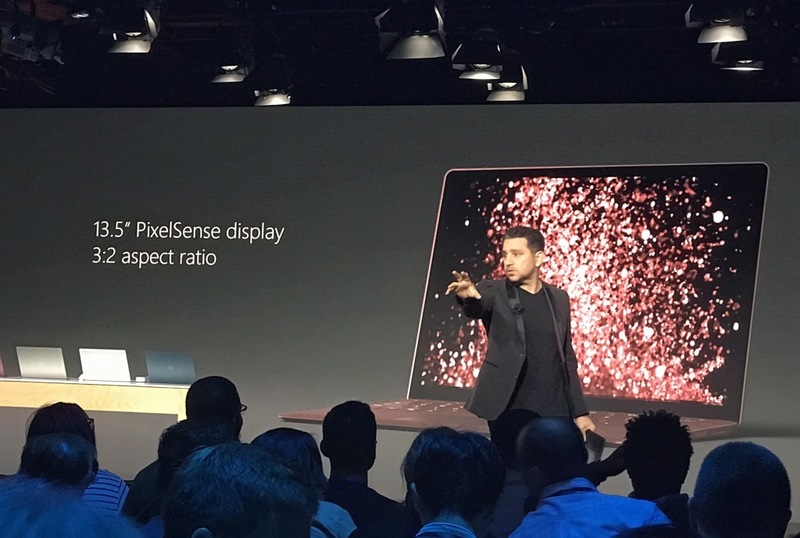 • At 2.76 pounds and 14.5 mm, it’s lighter and thinner than any current MacBook Pro or MacBook Air model, and offers, Panay said, a screen akin to a 14″ notebook, with 3.4 million pixels, in a 13″ case. • It runs Intel’s Core processors and offers, Microsoft says, up to 14.5 hours of battery life. • Like other Surface devices, it has a touch screen and Surface Pen input. • Its design aims to hide ugly signs that it’s a manufactured device such as screws, seams, and speaker grills, and the keyboard/palmrest area is covered in fabric. • It’s available for preorder now and ships on June 15 in four colors.